Users can select “Subscribe to Announcements” option in the registration page at the time of registration to receive any announcement email or newsletter from your store. You can send the announcement email/Newsletter from the CMS or you can send using any third-party email services. At any point of time, users can also opt out to receive any newsletter/announcement emails from you. 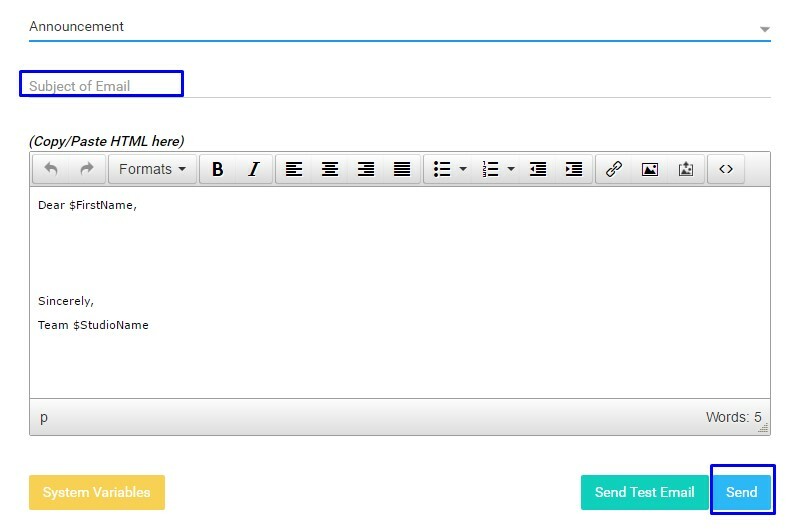 You can send announcement emails by using the “Email Trigger” feature. The email announcement will be received by the users who have already select the option “Subscribe to Announcements” at the time of registration. Note: Unlike Email Triggers, it will not automatically send notifications to the users on the event of an action. You can only send one announcement email in a week from your CMS (e:g If a you sent an announcement on Thursday (9th August 2018), you can send a new announcement next Monday (13th August 2018) and then again on Monday (20th August 2018). If you wish to send more than one announcement emails per week, you need to add a support ticket. You can view the email addresses of the users who have opted in for “Subscribe to Announcements” option. You can collect the email addresses and send the users emails using any third-party email service or you can remove the email address of a user. When users don’t want to receive any email announcements/newsletters from your store, they can opt-out this option. When a user selects the opt-out option, he/she will not receive any email from you for a certain period. (For example, 1 week, 1 month etc.) as the CMS will not allow you to send announcement emails to that specific user for a certain period.